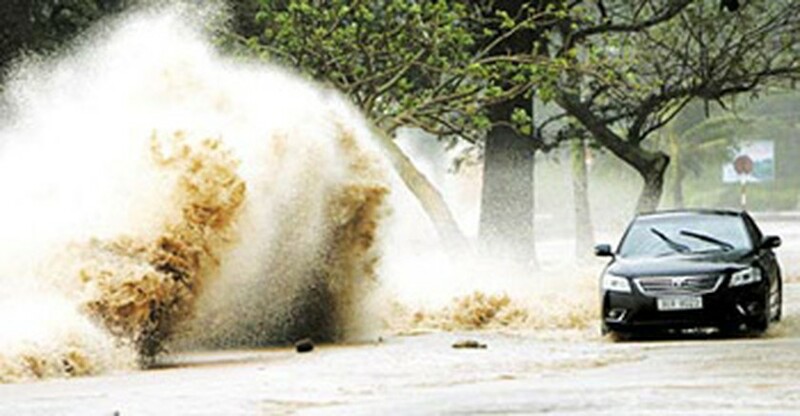 Typhoon Conson, with gusts up to 118-149 kilometers per hour, made landfall and ravaged northern Vietnam. The eye of the storm struck Hai Phong City and Thai Binh and Nam Dinh provinces later in the afternoon of July 17. In Nam Dinh Province, as the storm ripped through Quat Lam and Thinh Long beaches, restaurants and houses were knocked down or lost their roofs, tourists were seen fleeing from restaurants in storm-triggered heavy rains. The storm’s fury also left crops felled and trees uprooted, while all coastal districts in the province have suffered power failures. Heavy rains also raised sea levels. Big waves towered along over 100 meters of Co Vay sea dyke in Giao Thuy District, forcing hundreds of local officials and soldiers to dam up the dyke to stave the runoff flooding farther inland. Before arriving on the mainland, the storm’s eye swept through Co To and Bach Long islands Vi in Quang Ninh and Hai Phong. According to Bach Long Vi residents, the area experienced sustained winds of 118-149 kilometers per hour with giant waves over ten meters high, which broke and sunk fishing boats. 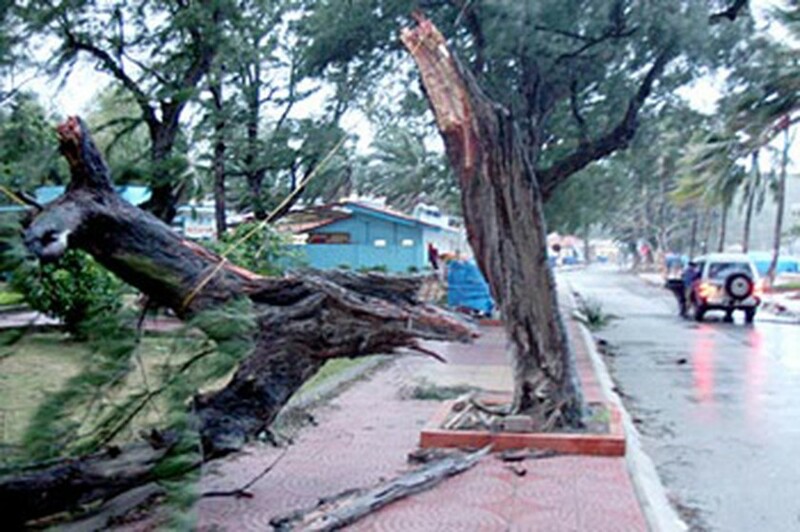 In Do Son Beach of Hai Phong, over thousand of trees fell down while hundreds of houses were left without roofs. In Ha Long town of Quang Ninh Province, rescue forces saved 20 people on a fishing raft, which had been swept away by fast-running water. They also took 30 other fishermen from small overturned fishing boats safely to shore. Electricity companies in Quang Ninh, Thai Binh, Nam Dinh and Hai Phong raced to repair the electricity system on the evening of July 17; several transformer stations broke down. 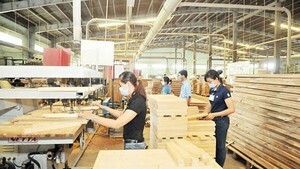 However, the torrential rains, together with strong winds, have made the work difficult. As the storm continues moving farther inland, it should abate into a tropical low-pressure system, forecast to be centered in the northwestern region by 10am on July 18. Strongest winds near the system’s center will slow to below 39 kilometers an hour, according to the National Hydro Meteorological Forecasting Center. Downpours are forecast for the southern Red River delta and northern central provinces of Thanh Hoa and Nghe An, as the storm rolls through. Deputy Minister of Agriculture and Rural Development Vu Van Tam, said that local authorities in the areas should prepare to cope with prone inundation and landslides and that they should preserve provisions and medicines to ensure residents’ lives in areas that may become stranded due to flood waters. As of July 17, 19,300 residents in Hai Phong, and Thai Binh, Ninh Binh and Nam Dinh had been evacuated out of the dangerous areas.